One of the problems I come across because I scrapbook both traditionally and with pocket pages is that I have a need for a pocket page when there's only the back of a traditional page or vice versa I want to create a traditional page when the next page in my album is the back of a pocket page. We tackled one of those solutions in memory keeping club this month. I call these 'faux pocket pages' because I've taken the pocket configuration and converted it to a traditional layout. This is easy to do by simply trimming your photos down 1/8" on two sides. This particular design is Project Life design G. It's a great one because it holds two 4x6 vertical layouts and two 4x6 horizontal layouts. Finding a pocket page that holds both orientations of photos is difficult so it's one I use often. If you are familiar with design G, it is a 10" x 12" pocket page so when I convert it to a traditional layout I use a 12" x 12" piece of cardstock and allow for a bit of a border along one side. Sometimes I will cover that border with dsp, or a decorative strip. Other times, like this example, I'll leave it blank and just add some embellishments. 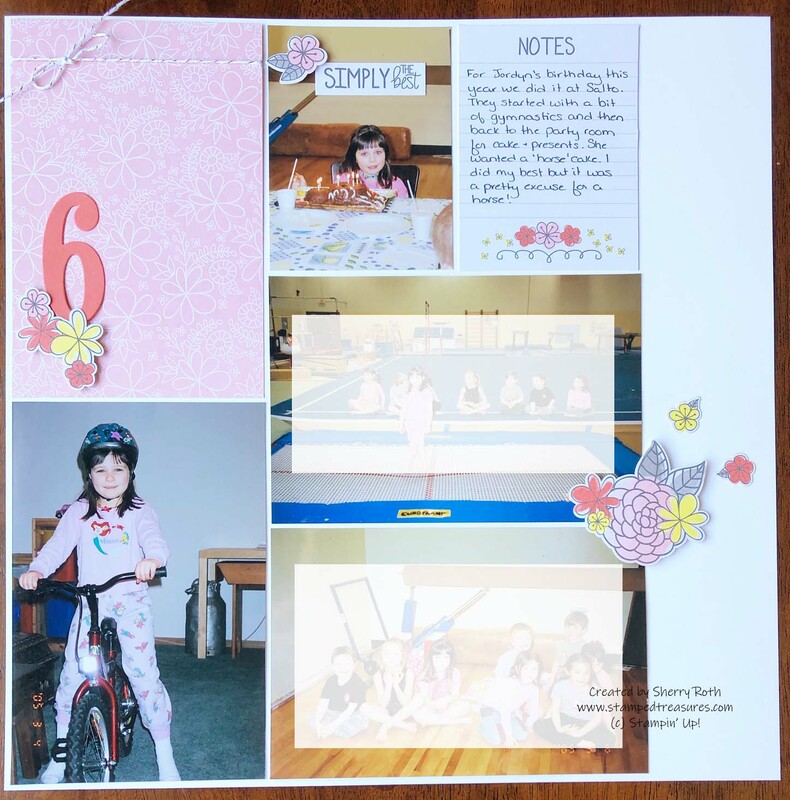 These layouts are so quick and easy to pull together because the design is already done for you - it's like using a sketch!